So I have just had a nice 12 hour catch up on sleep after my last couple of flights – I got back from Chennai, India last night! I was rostered for this flight with one of my lovely batchmates, Cully, and as she lives near me we got on the bus together to go to HQ before the flight. We were sitting waiting for the gates to open when I got a call, telling me that the aircraft configuration had changed and they wouldn’t be needing me, so were putting me on airport standby for four hours! I wasn’t really that bothered, so I went and had a coffee and waited for my standby to start. 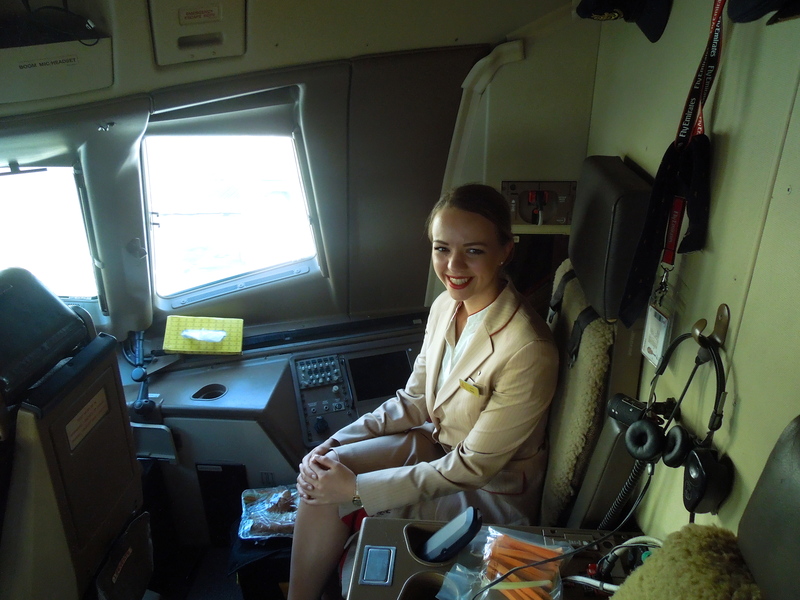 Once I signed in and sat down, I got called literally straight away for a flight. Turns out they had put me back on the same Chennai flight! Luckily on the way there it was only 2/3 full, so was not too bad at all. On the way back the plane was completely full, so we were rushed off our feet! There seemed to be at least 10 call bells going off at once at all times, and there was always something to do! During the meal service we ran out of the vegetarian option and the passengers at the back who didn’t have a choice were getting quite angry at us! Luckily the crew were awesome and we all worked well together and had fun! 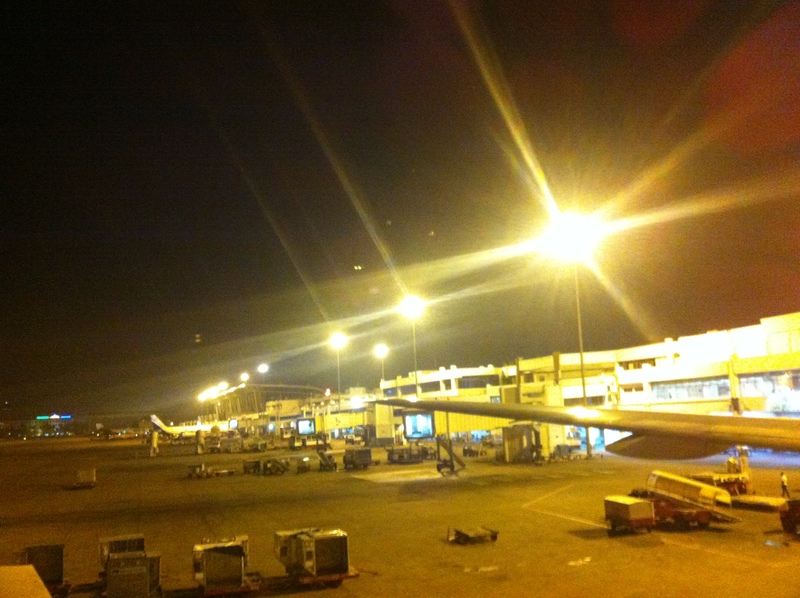 Chennai Airport from the back of the plane! 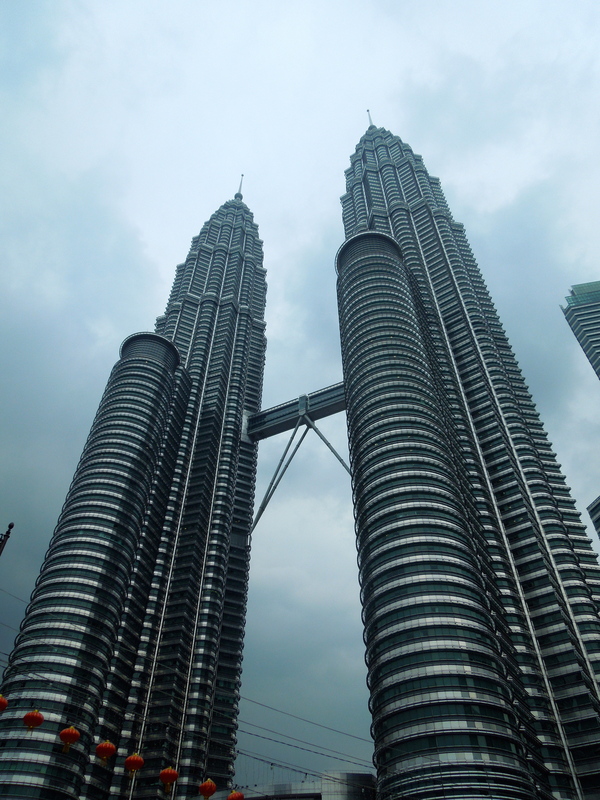 Before my turnaround to India I had something much more exciting…Kuala Lumpur! The flight there was pretty busy and demanding, and every other passenger wanted pot noodles instead of the meal service, but I didn’t really mind as I couldn’t wait to get to Malaysia! Once we arrived we got the bus to the hotel (which was beautiful!! ), checked in, had a quick shower and met downstairs for dinner. By this time it was about 11:30 already, but about 8 of us took taxis to an area full of street restaurants and chose one. I had some pad thai which was pretty tasty, and everyone else tried some other kind of Asian dish! After dinner we had a walk along the street and headed back to the hotel. 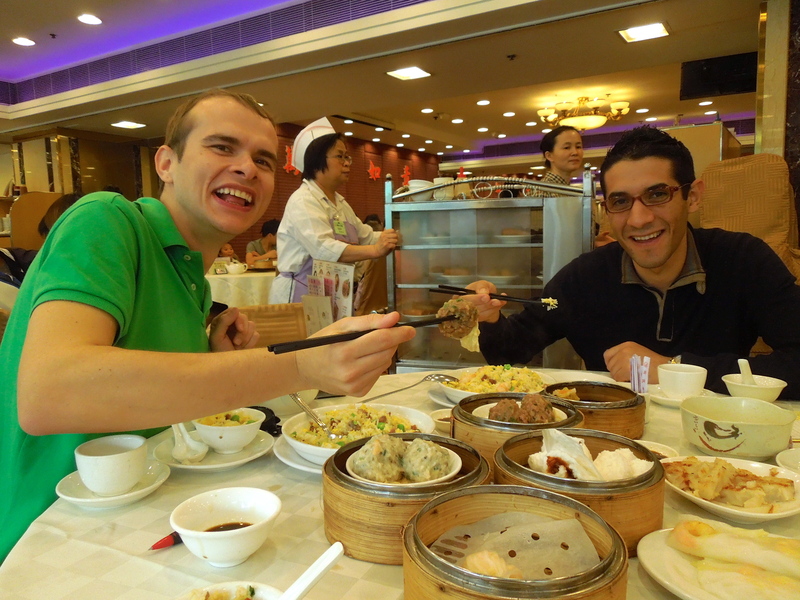 The next day Cully and I met up for breakfast…and yes, I did abuse the buffet and eat as much as possible! 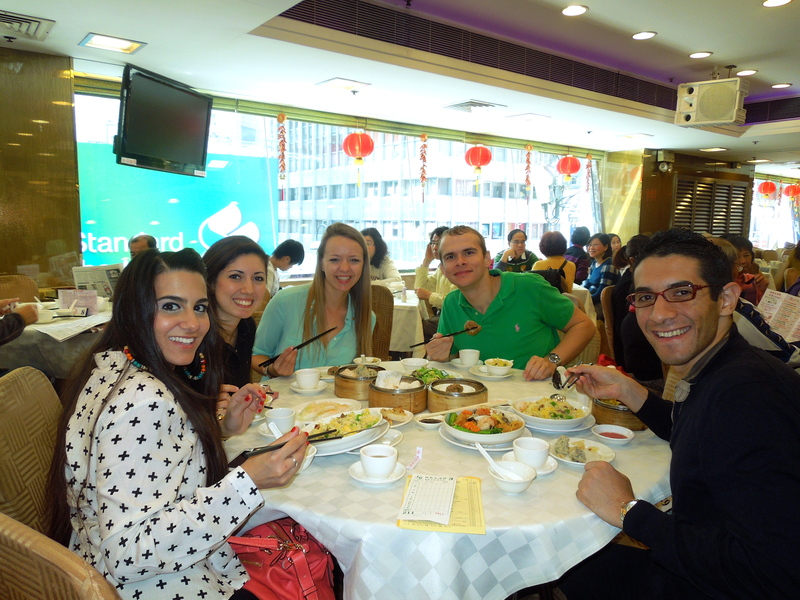 After breakfast we met up with 2 of the other girls and headed out to Chinatown to do some shopping! 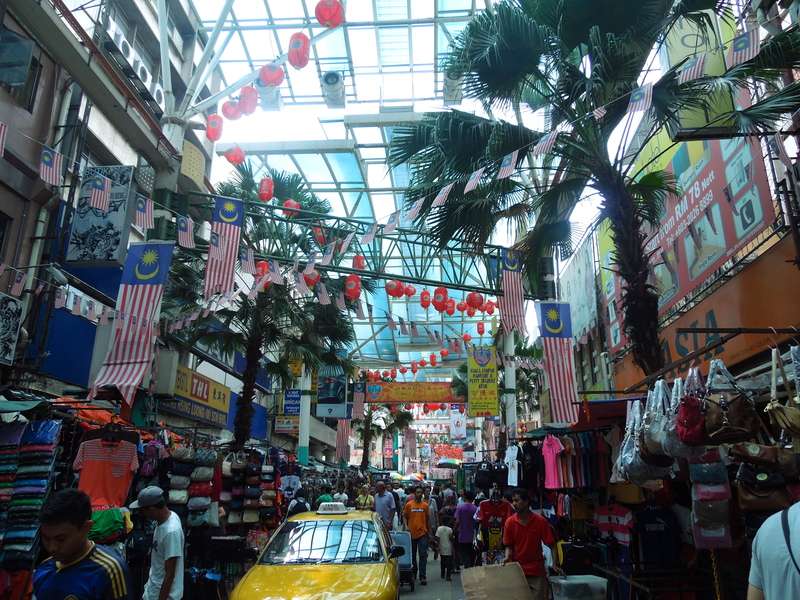 We had originally planned to go to the Batu Caves, but decided we were too tired and wanted to do some shopping instead! All of us managed to buy something – bags, scarves, watches etc! I bought a gorgeous blue Celine bag! (Unfortunately not the real thing…but who can tell! :D). 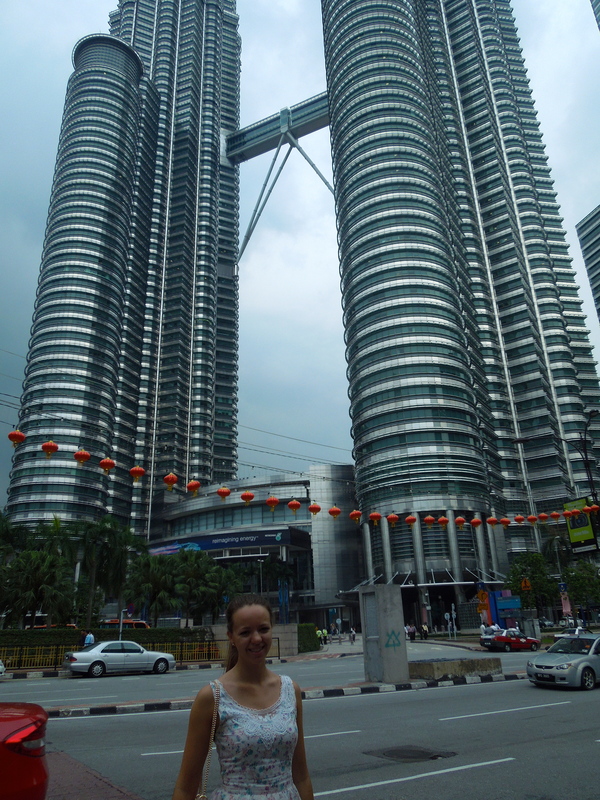 After shopping we went back to the hotel to put our stuff away, and walked to see the Petronas Towers. They used to be the tallest buildings in the world and are very impressive, especially at night when they are all lit up! We didn’t go up, but we did take some obligatory tourist pictures in front of them! We wanted to get a massage before going home; one of the girls decided to stay at the hotel, so we walked to a Thai massage place and went for the 90 minute full body massage!! It was quite nice, but Cully’s lady kept burping which we could all hear through the walls! We also got asked if we wanted “special special”….which we still aren’t quite sure of the meaning of, but we definitely did not want it! Coming out of the massage place it started to absolutely pour, so we got soaked getting in a taxi back to the hotel! It was only about a 5 minute walk but we would have got so wet walking back that we had to get a taxi! The driver however had no clue where he was going and we had to get out halfway through, cross the road and get a different taxi! Once back in the hotel I went to bed to have a nice few hours sleep before the flight home. I ordered some room service and had it in bed before getting ready to fly back home to Dubai! Room service in bed….club sandwich is always a good choice! Now I have 3 days off (although it is 2pm already and I’m not dressed yet…so today doesn’t really count!) and then I will be off to Zurich! Have to say I’m very excited to be back in Europe and possibly see some snow! I’m not sure if I brought any winter clothes with me when moving here so I might have to wear lots and lots of layers! Next months roster came out yesterday as well ….and it’s amazing!!! I only have one turnaround to Karachi at the end of the month, and I’ve got a trip to Singapore – Melbourne – Singapore, Milan, Shanghai (2 day layover! ), Munich and Dublin! Especially excited about the Melbourne, as my cousin has just moved there for uni so I’ll be meeting up with her as soon as I get there! Now time to get dressed and pop over to headquarters to get a few things sorted out, and then enjoy my days off! 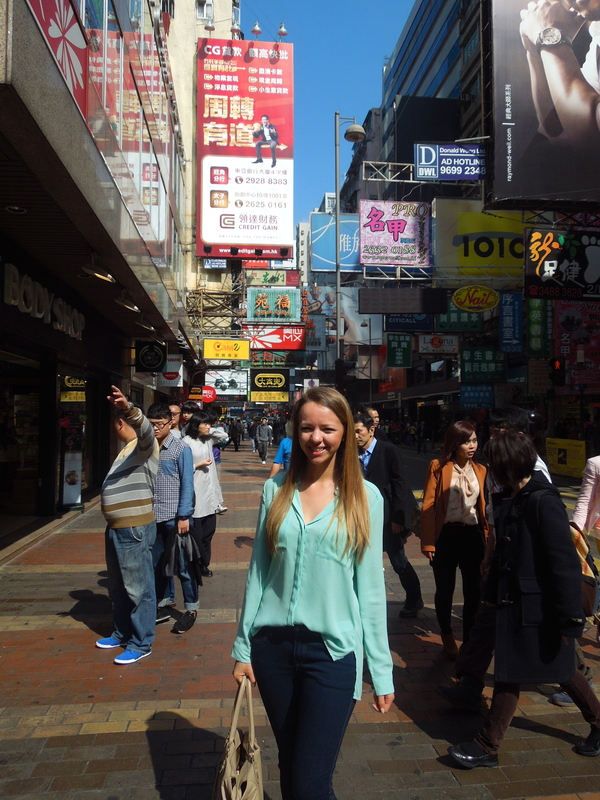 I’ve just got back from an amazing layover in Hong Kong! 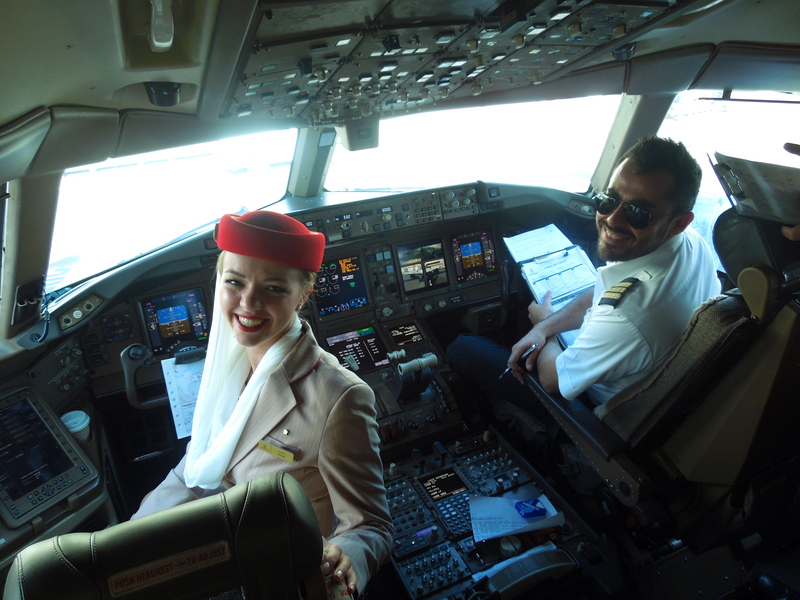 But before I get started on that, I’ll tell you about my very first flight….to Kuwait and back! So originally my roster had said that I was doing a turnaround to Amman, Jordan, however the day before it changed to Kuwait! Luckily I was going with two lovely girls who had started at the same time as me so I wasn’t the only new person on board! It was an early morning flight, which meant getting up at 4am (yay!). Once we got to the airport we were briefed on what the flight would be like and what kind of service we would be doing etc. For take-off and landing I got to sit in the cockpit, which was amazing! 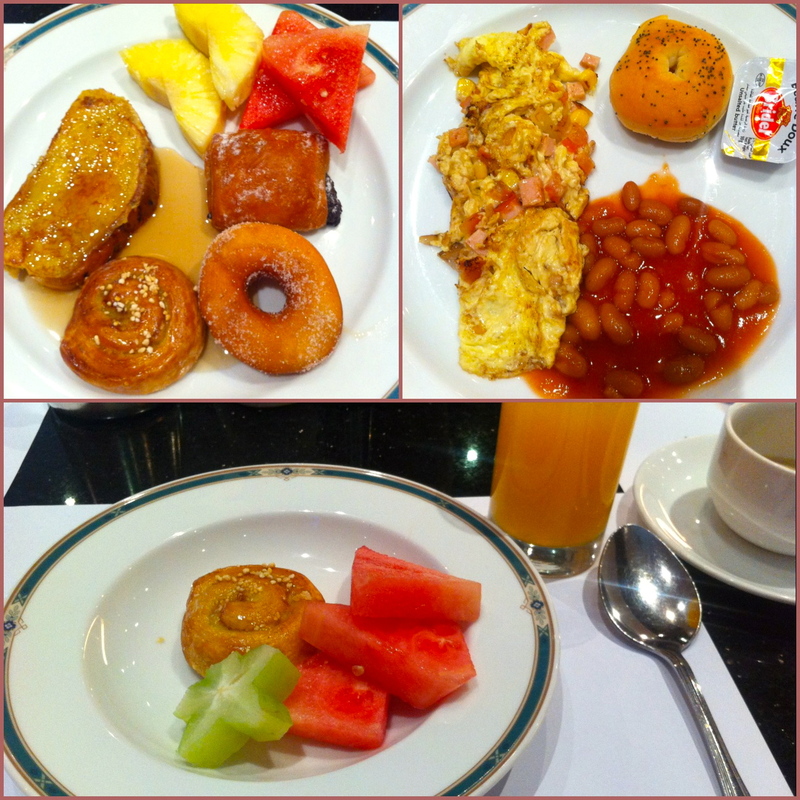 The flight is only an hour and 15 minutes, so we did a very quick breakfast service. It was nothing like training college! I wasn’t really sure what to expect but the sector going there was not busy at all which helped, and all the crew were so lovely! We did have one passenger sitting in first class who got out a cigarette and just lit it up and started smoking during the flight! We had a while on ground in Kuwait to have some food, but didn’t actually get off the plane there. Once we got back to Dubai it was only around lunch time, so I still had the afternoon off to get ready for my next flight! The next morning I was off to HONG KONG! As soon as I saw that on my roster I was so excited! I have been quite a few times with my family before, so I was really looking forward to going back. I got to the airport in the morning only to find that the flight was delayed almost 2 hours because of the fog! Luckily I was flying with one of my batchmates, Ibrahim, so we went and sat on the terrace and had a coffee until it was time for the briefing. The flight itself was great – economy was not even 1/3 full, so we had very little to do and Ibrahim and I were also shown around the whole aircraft. Upstairs in business and first there was a total of about 10 passengers! Most of them were asleep as well so it was a pretty easy flight for the crew there. 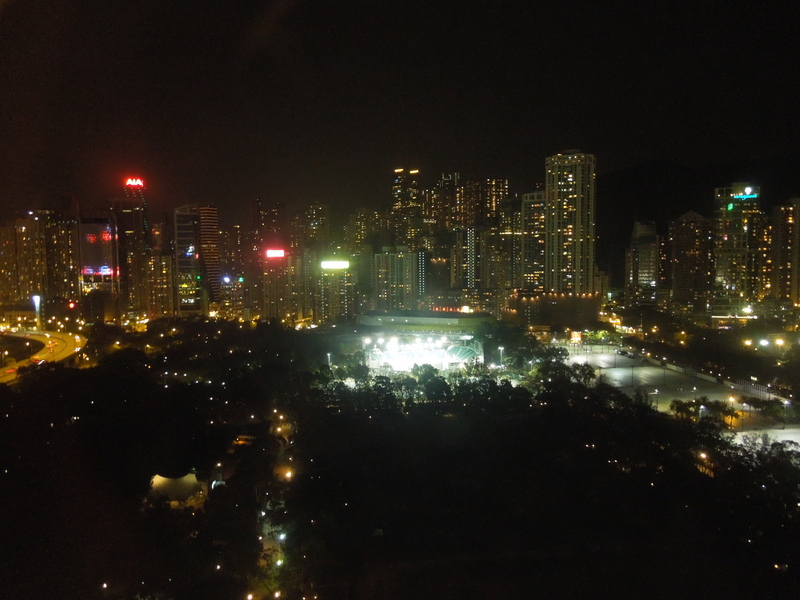 Flying into Hong Kong at night is amazing, especially because the airport is very close to the water, so it almost feels like you are going to land on the water! As the flight had been delayed, we didn’t get til the airport til almost 1am. We got our rooms and then most of us went to the supermarket just around the corner to get some things for breakfast etc. The next morning I managed a 30 minute run at the gym, before meeting some of the other crew down in the lobby. We had planned to go to the peak and see the Big Buddha, but it was a little bit far from the hotel so we decided to go to the ladies market and have a wander around! 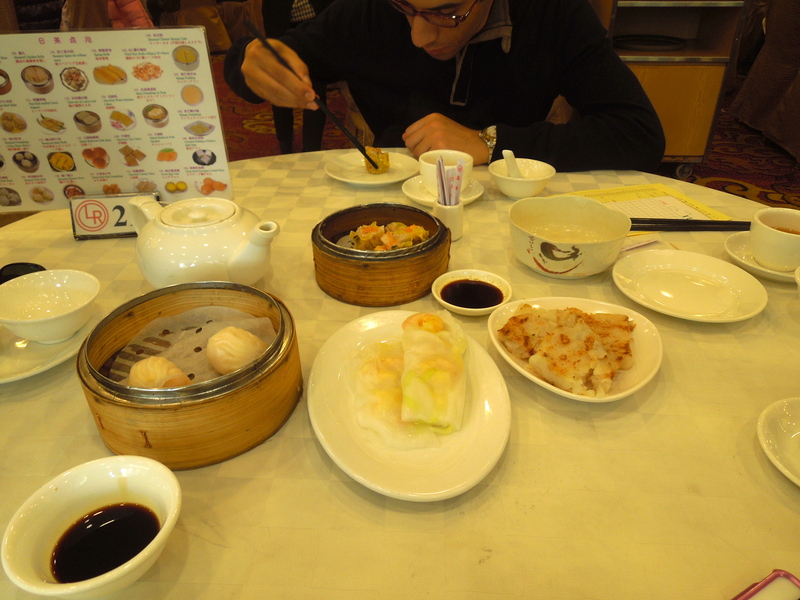 One of the guys, Bruno, told us about a restaurant which specialised in Dim Sum, so he had asked the concierge where it was and we set out to try and find it. Once we got to the area it was supposed to be in we couldn’t find anything that even looked like a restaurant! So we asked a local girl and she directed us to the right place (it had moved!) 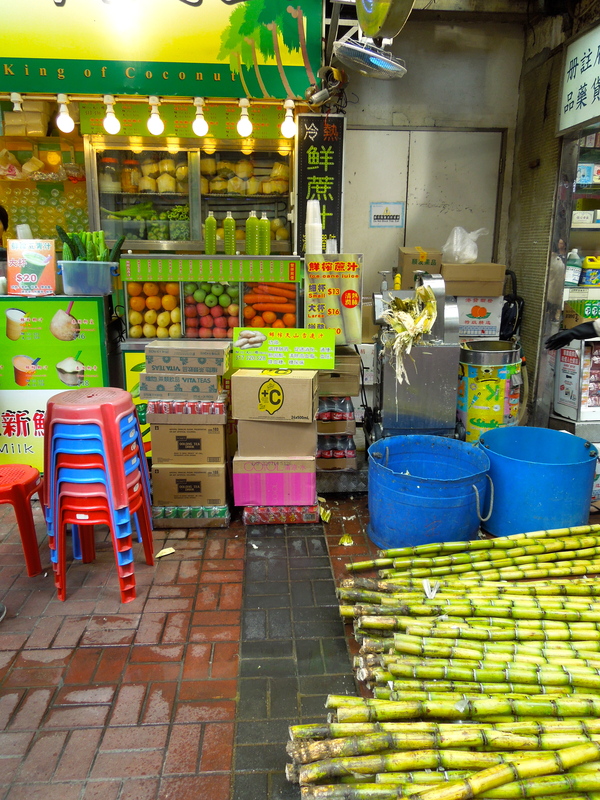 …but once we got there it was shut for Chinese New Year! Very disappointing. By this time we were all starving, so we decided to go back to the area of the Ladies Market and try and find something else. 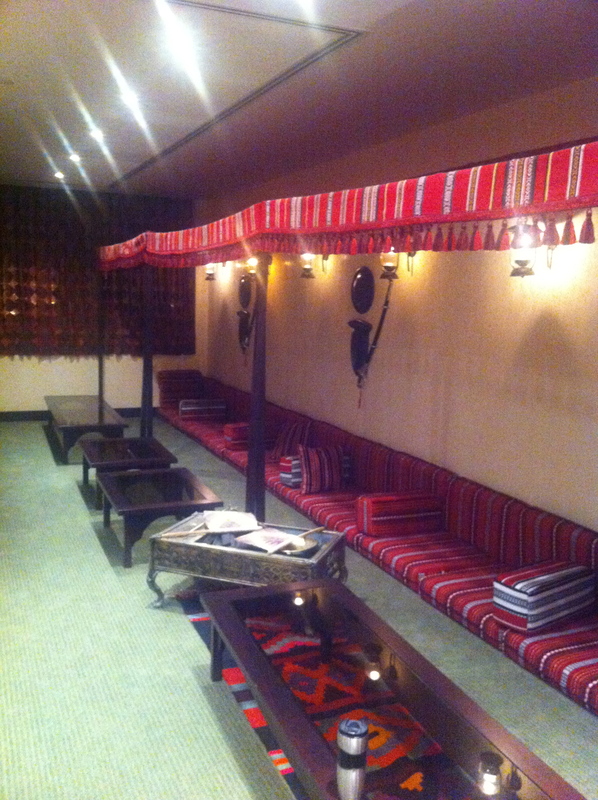 We ended up going into a place which was absolutely huge and filled with locals! Bruno ordered for us as he had a bit of an idea what to get, and we ended up with at least 20 different dishes of dumplings, fried rice, more dumplings, and lots of different things to try! It was all so delicious, and we payed the equivalent of about 15 euros each, if that! After lunch, all feeling very full, we walked to the ladies market and had a browse! I didn’t buy anything there, as I had bought some Asian beauty products (face masks, make-up, etc) from a very cute pink shop before lunch! 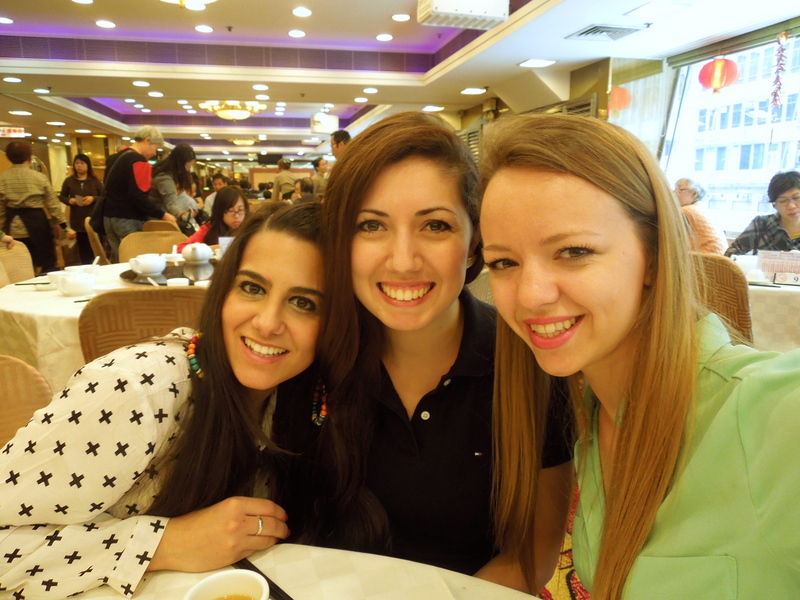 One of the girls, Jesica from Argentina, bought a very cute bag and managed to get a good deal! There was one thing that I wanted to buy in Hong Kong…an iPad! 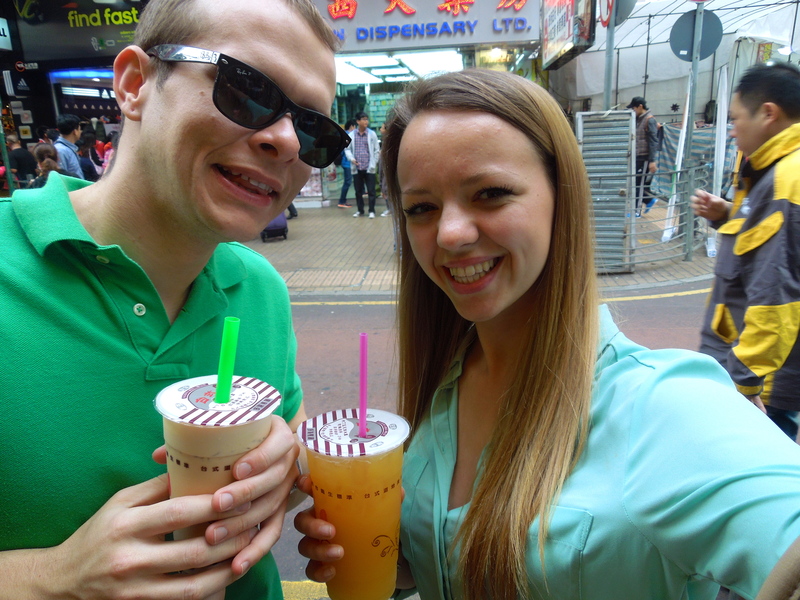 So we made our way to an area full of electronics shops, not before stopping to get some delicious bubble tea! The flight back was a little bit busier, in fact it was almost full, but as it was a night flight we did the service shortly after take off and then most passengers went to sleep straight away. All of us were feeling pretty tired, and on the way back the flight was almost 2,5 hrs longer because of the direction of the wind. We were happy to start the breakfast service in the morning as it meant we didn’t have long left to land! We got to sit in the cockpit again for landing, and flying into Dubai just before sunrise was amazing – the amount of lights and skyscrapers is incredible! You can see the Burj Khalifa from so far away as well….it made me realise how much I love my job already! All in all my first flights were pretty amazing! I’ve just checked my roster now and it looks like I’ve got another turnaround to Kuwait tomorrow evening! After that I’m going to Malaysia, India and Switzerland… I can’t wait! So these are some of the places that have been put on my roster ….. yes, my very first flight is happening in 5 days time!! 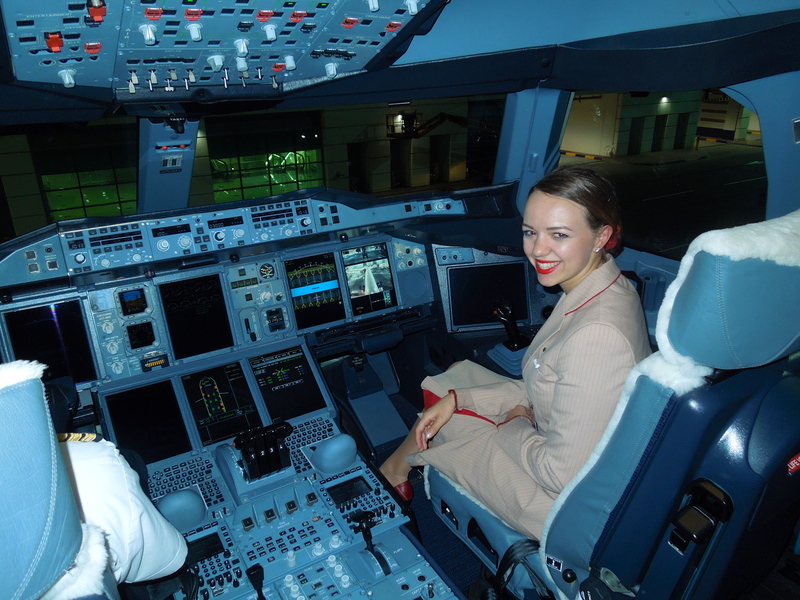 I’ll be flying a turnaround to Amman, Jordan, which is about a 4 hour flight from Dubai. I’m guessing it will be pretty tiring as we about 2 hours or so there, then come straight back the same day. After that I have a week of “can use” – basically where I will be sitting at home waiting to hear whether or not I have a flight! And after that…some exciting destinations! 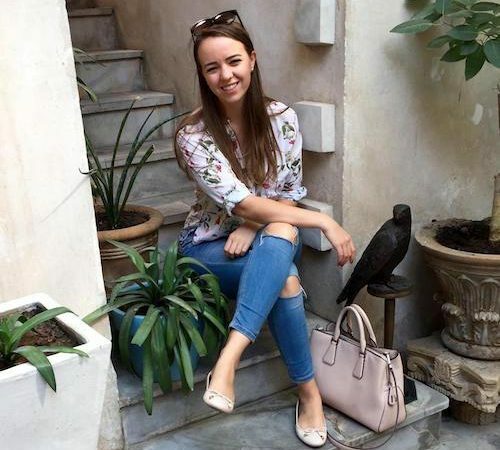 I have a layover in Kuala Lumpur, Malaysia, which I am so excited about, as well as a turnaround to Chennai, India, and another layover in Zurich at the end of the month! I can’t believe how quickly time flies; in only 2 days I will have finally finished my training. Sometimes it feels like I have been in training college forever, and then I realise I have only actually been here for almost 8 weeks! Luckily I am still absolutely loving it and am so glad I made the decision to come! Last Thursday my dad had a quick overnight stopover in Dubai, so he came to visit my apartment for some lunch before training college which was very nice! He also brought me a bottle of wine which was consumed very quickly the next evening 😉 (Not by myself, my friends Michelle and Sally helped!). 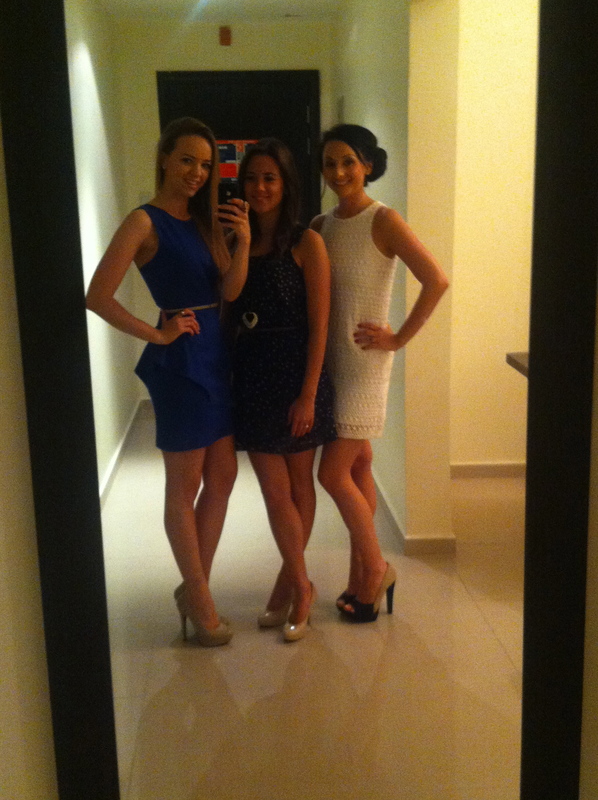 As usual we all went out at the weekend, Thursday night to Crystal and Friday night to Mahiki! Sally and I also had a quick trip to Dubai Mall on Friday, as the weather wasn’t great (windy and even a bit of rain!) so we couldn’t spend all day at the pool like we usually do. Saturday I managed to stay in bed feeling a little bit (a lot!) worse for wear and only got out to go to the door when the pizza I ordered was delivered! Ultimate lazy day, but then again these weekends where everyone is home at the same time will not be happening much once we start flying! I’ll try and get a few pictures up soon, right now it is almost 2am and I have just had a really nice long skype session with my best friend Lucy back in England and so I am feeling very tired and ready for bed!